Rachel Hendrix as Hannah and Jason Burkey as Jason in OCTOBER BABY, a film by Andrew and Jon Erwin. Picture courtesy Samuel Goldwyn Films. All rights reserved. Rated: PG-13 for mature thematic material. After countless medical tests, all signs point to one underlying factor: Hannah's difficult birth. This revelation is nothing compared to what she then learns from her parents: she was actually adopted . . . after a failed abortion attempt. Bewildered, angered, and confused, Hannah turns for support to Jason, her oldest friend. Encouraged by his adventurous spirit, Hannah joins his group of friends on a Spring Break road trip, embarking on a journey to discover her hidden past . . . and find hope for her unknown future. From award-winning directors Jon and Andrew Erwin comes OCTOBER BABY, a groundbreaking, life-affirming movie premiering in theaters nationwide March 23, 2012. Provident Films--known for its association with such hit faith movies as COURAGEOUS and FIREPROOF--and Samuel Goldwyn Films (distributor of such hit faith films as FIREPROOF, AMAZING GRACE and FACING THE GIANTS among others) have signed on to market and distribute. A production of the Erwin Brothers and American Family Studios, OCTOBER BABY weaves a dramatic, romantic, humorous story of one young woman's search for the truth after a life-changing discovery rocks her world. "OCTOBER BABY is the story of 19-year-old Hannah, who finds out she is adopted and is the survivor of an attempted abortion," said co-director and co-writer Jon Erwin. "So, she goes on a road trip to find answers, locate her birth mother and, ultimately, discover how powerful forgiveness can be." OCTOBER BABY offers viewers an enjoyable, entertaining, intensely human film about friends hitting the road together and finding more than they bargained for: adventure, romance, truth . . . and the power to forgive. But, the film is more than that--it tells the story of one young woman's journey based on hundreds of stories of abortion survivors. OCTOBER BABY honestly and evenhandedly invites audiences to explore their own views of life's value and the importance of their choices. "Like all good films, OCTOBER BABY entertains, encourages and challenges audiences," said Provident Films Senior Vice President Ben Howard. "Long after leaving the theater, viewers will continue conversations that OCTOBER BABY ignites." OCTOBER BABY marks the feature film debut of the Erwin Brothers, multiple Dove Award winners for music videos featuring hit contemporary Christian artists such as Casting Crowns, Michael W. Smith and Francesca Battistelli. Jon Erwin and Theresa Preston co-wrote the film. "We're thrilled to introduce these exciting, young filmmakers to audiences nationwide," said Meyer Gottlieb, president of Samuel Goldwyn Films. "OCTOBER BABY is one more example of Samuel Goldwyn Films' commitment to releasing films with a dedicated audience. That, coupled with getting to collaborate with Provident once again, made this a homerun for us." Starring newcomer Rachel Hendrix as Hannah, OCTOBER BABY features John Schneider (Smallville, The Dukes of Hazzard) and Jasmine Guy (A Different World), along with Jason Burkey and American Idol finalist Chris Sligh in his feature film debut. In support of the film's life-affirming theme, the producers of OCTOBER BABY have assigned 10 percent of the profits of the film to the Every Life is Beautiful Fund. The money will be distributed to frontline organizations helping women face crisis pregnancies, life-affirming adoption agencies and those caring for orphans. "We feel like it's very important to use OCTOBER BABY as an opportunity to serve, give back and save lives," Jon Erwin said. "That's what we want the Every Life Is Beautiful Fund to be about." John plays Hannah's overprotective father, Dr. Jacob Lawson in OCTOBER BABY. John Richard Schneider was born April 8, 1960, in Mt. Kisco, New York. His parents divorced when he was two. John began acting at the age of eight. He was in many plays in New York. He and his mother moved to Atlanta, Georgia, when he was fourteen. He got involved in the local theater and was in many local productions. He had a small part in Smokey and the Bandit (1977) starring Burt Reynolds. His big break came when he won the role of Bo Duke on "The Dukes of Hazzard" (1979) on CBS from 1979-1985. He later became a very successful country singer and had several hit songs. He has continued to enjoy a very successful career as an actor in both television and film. And has since created many other memorable characters on shows such as "Smallville" and "Dr. Quinn Medicine Woman." Rachel plays the title character Hannah Lawson in October Baby. This is her first starring role in a feature film. She grew up in Dothan, Alabama, Hendrix attended The University of Montevallo in Alabama where she received a Bachelor of Fine Arts degree in photography. Before graduating college, she was introduced to filmmaker Kris Kimlin at a sushi restaurant and was cast in a his short film, "Letting Go." Since then, Hendrix has appeared in many short films, music videos and commercials, and in 2008 she landed the lead in Halogen Network's TV pilot, ALUMNI. Jason plays Hannah's love interest and childhood friend Jason Bradley in October Baby. Originally from Chicago,IL Jason is a veteran actor of film, television, music videos, and commercials. He currently resides in Nashville, TN. Remembered mostly as Whitley Gilbert Wayne on the series "A Different World" (1987), Jasmine Guy has a variety of talents. Jasmine was born March 10, 1964, in Boston, Massachusetts. In 1990, Jasmine released a self-titled album. To this day she continues a career in film, theater, and music. Most know Chris as the quick witted sarcastic contestant on American Idol in 2007. Since finishing that season in the top 10 Chris has enjoyed a career pursuing his love of music. But many are just now learning about his other passion, acting. This theater major from South Carolina stars in his break out role as the lovable misfit chaperone Bmac, who takes Hannah's friends to New Orleans for spring break in his broken down VW mini bus. Jon and Andy began their career as teenagers, working as camera operators for ESPN. Local games at the university of Alabama soon became a full time career as sports cameramen. The brothers eventually worked on everything from ESPN College Football Primetime to FOX NFL -- doing events like the XGames and the Superbowl. In 2005, the young team began to venture into directing commercials and music videos. They found their greatest success in the world of music, directing music videos and producing concerts and television programs for platinum artists like Amy Grant, Michael W. Smith, Switchfoot, Skillet and Montgomery Gentry among many others. They have received eight nominations and back to back wins for Music Video Of The Year at the GMA Dove Awards. They are now veterans of nearly a hundred music videos and concerts. Recently, the brothers have completed the feature length documentary shot on location in the Galapagos - The Mysterious Islands, which is now available on DVD and Blue Ray via Sony/Provident Films, and are currently in post production on October Baby, a feature film they wrote, produced and directed set to release in 2012. Rachel Hendrix as Hannah in OCTOBER BABY, a film by Andrew and Jon Erwin. Picture courtesy Samuel Goldwyn Films. All rights reserved. Jason Burkey as Jason in OCTOBER BABY, a film by Andrew and Jon Erwin. Picture courtesy Samuel Goldwyn Films. All rights reserved. 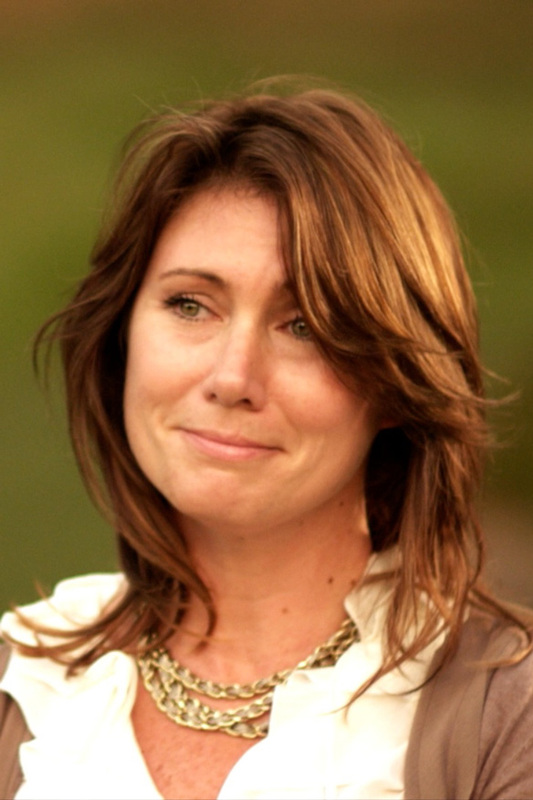 Shari Rigby as Cindy in OCTOBER BABY, a film by Andrew and Jon Erwin. Picture courtesy Samuel Goldwyn Films. All rights reserved. Jasmine Guy as Mary in OCTOBER BABY, a film by Andrew and Jon Erwin. Picture courtesy Samuel Goldwyn Films. All rights reserved. 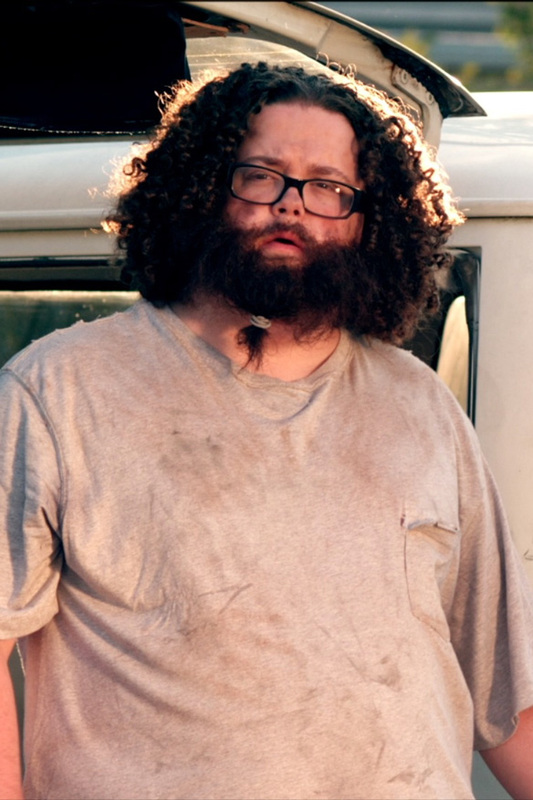 Chris Sligh as B-Mac in OCTOBER BABY, a film by Andrew and Jon Erwin. Picture courtesy Samuel Goldwyn Films. All rights reserved. Jennifer Price as Grace in OCTOBER BABY, a film by Andrew and Jon Erwin. Picture courtesy Samuel Goldwyn Films. All rights reserved. 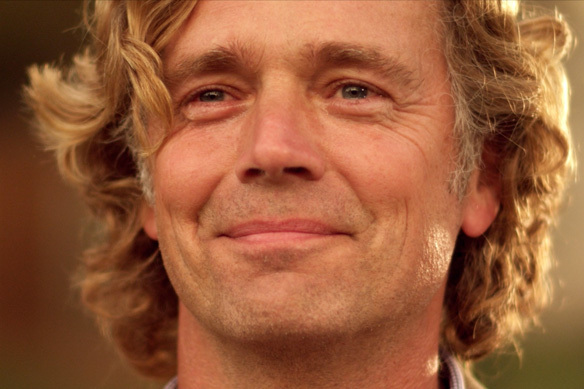 John Schneider as Jacob in OCTOBER BABY, a film by Andrew and Jon Erwin. Picture courtesy Samuel Goldwyn Films. All rights reserved.